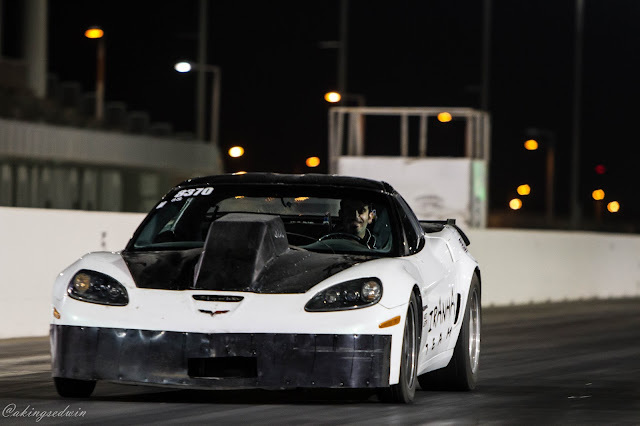 Its a 507cubic inch, RHS block, Mast Heads and intake, American racing headers, stock T56 Manual transmission, Stock Differential, stock driveshaft. 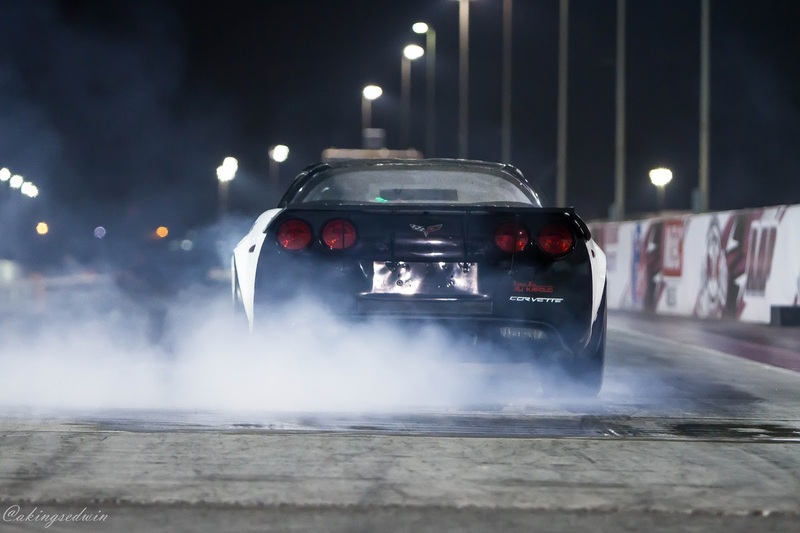 18" drag radials. 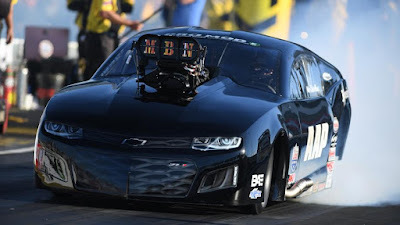 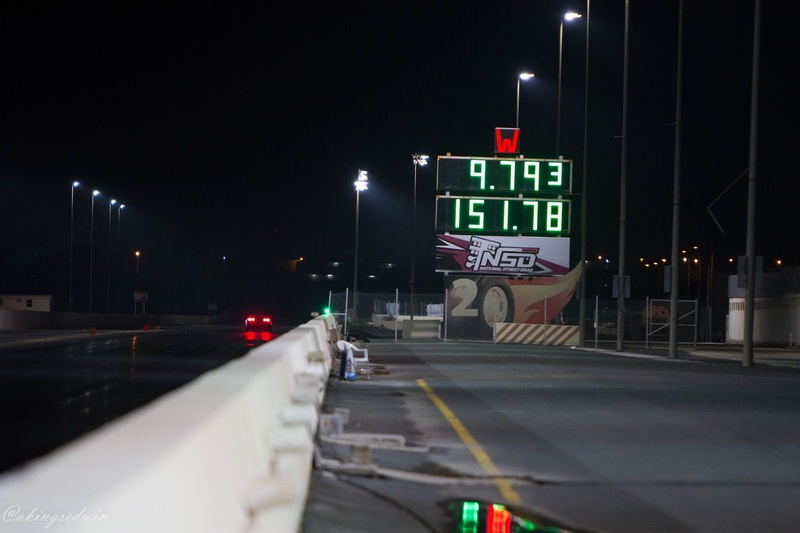 VP Racing Q16 fuel. This is a basic run down. 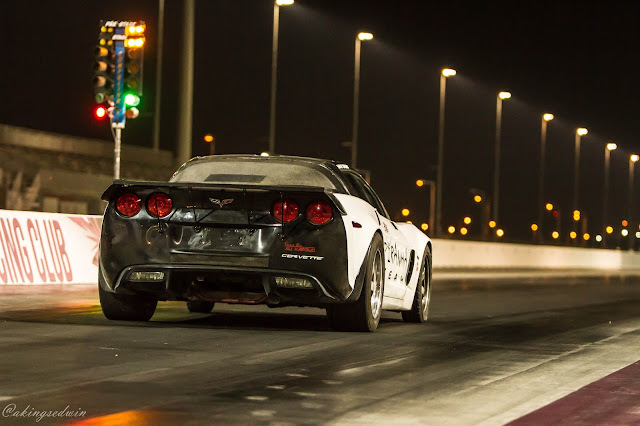 Tuned by Ali Kafoud, and driven by Ahmed Malik. 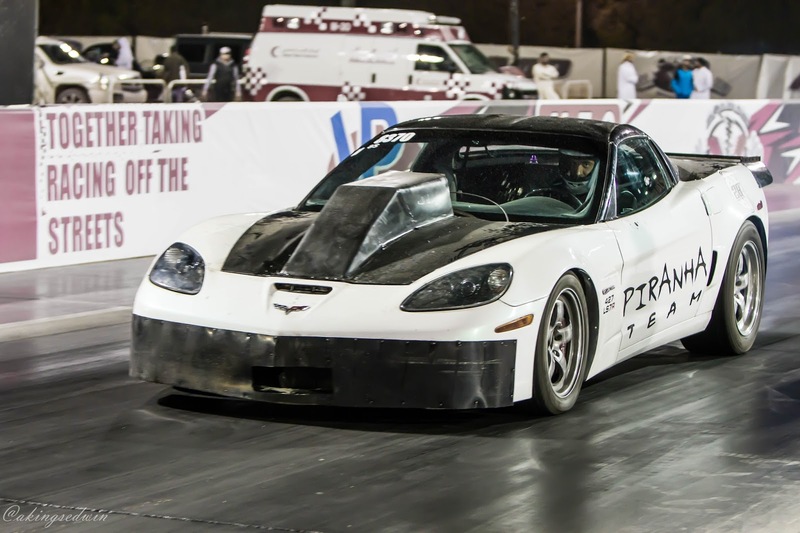 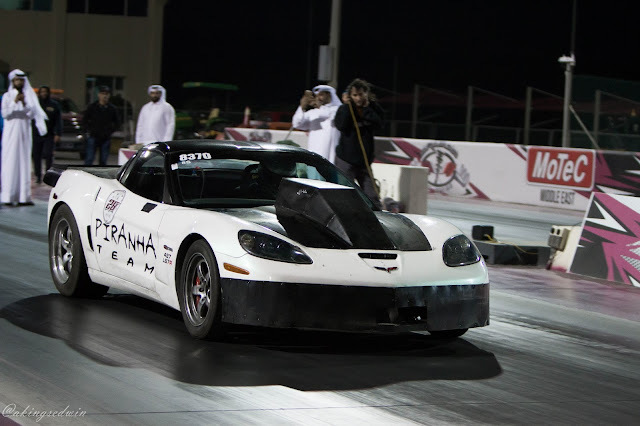 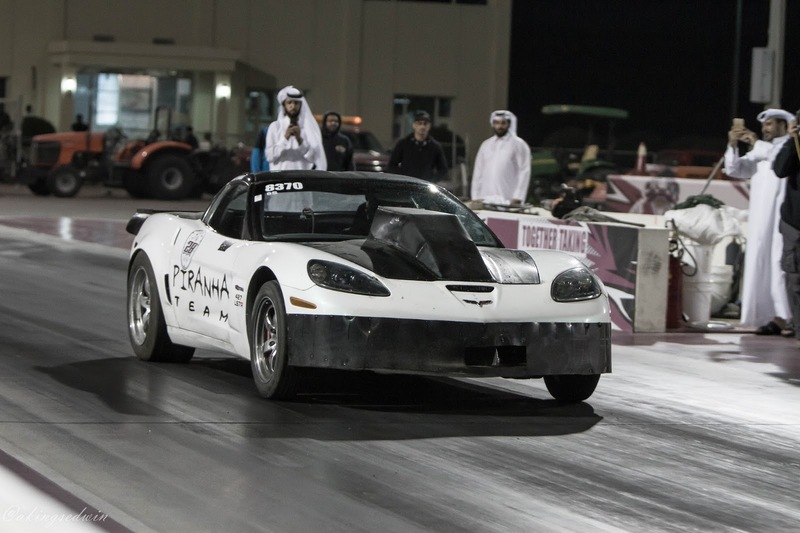 You guys should have seen Ahmed Malik steering the Z06 beast to the top of the world record last night. Completely taken off foot. 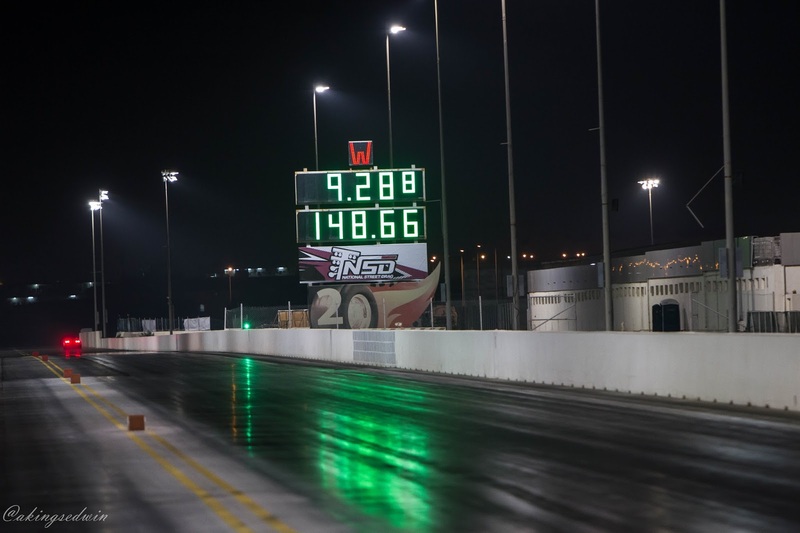 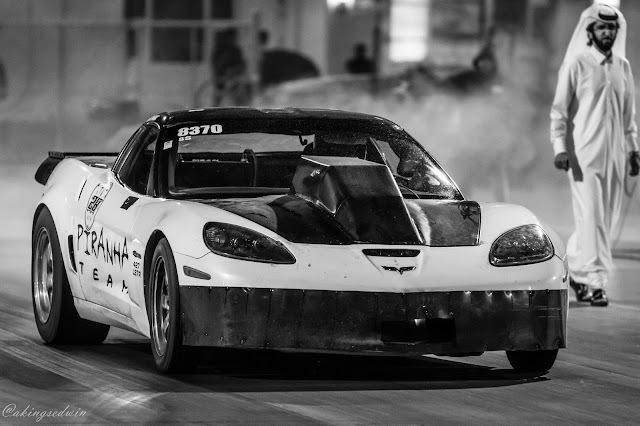 These photos are works of Kings Edwin -Kenyan Photographer covering the larger drag racing events in the Middle East! 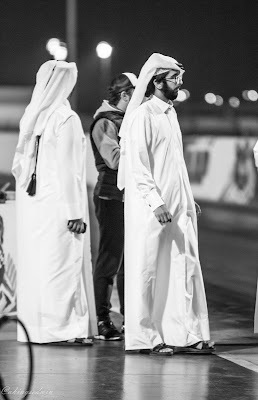 Follow him on instagram here for updates.